Dr. Keith Moffett, who in 2011 was named a distinguished alumnus of what is now MGA, has gone on to become county manager for Macon-Bibb. Full Name: Dr. Keith Moffett. Family: Wife, Dr. Melinda Robinson-Moffett; sons, Christian and Nicholas Moffett; daughters, Collinda Simmons and Alexis Moffett; grandchildren, Brandon Alexander Moffett (Bam Bam) and Mahlani Nicole Moffett (Pebbles). Employment: Macon-Bibb County, county manager. Middle Georgia State University Degree: Bachelor of Science in Business and Information Technology with an major in marketing (from the former Macon State College), class of 2003. Other Degrees: PhD., educational leadership, Mercer University; executive MBA, Wesleyan College; Associate of Science in Electronic Technology and Associate of Science in Nuclear Science Technology, Georgia Military College. Describe your current career and what you love most about it. "Currently I serve as the county manager of the consolidated government of Macon-Bibb County. I oversee the day-to-day operation of the county government departments and services. What I love most about my job is the opportunity to serve the entire community! With the field of government constantly evolving and adapting to various business models, every moment brings an opportunity where I get to use all my experience and education to solve problems and create innovated methods to deliver services to all citizens of the county." How have your Middle Georgia State experiences benefited you in your career and personal life? "As a recognized distinguished alumnus of the former Macon State College School of Business and the first chair of the Middle Georgia State Alumni Board, I am grateful that Middle Georgia State prepared me for the challenges of leading the organization responsible for providing and delivering municipal services for a diverse community. 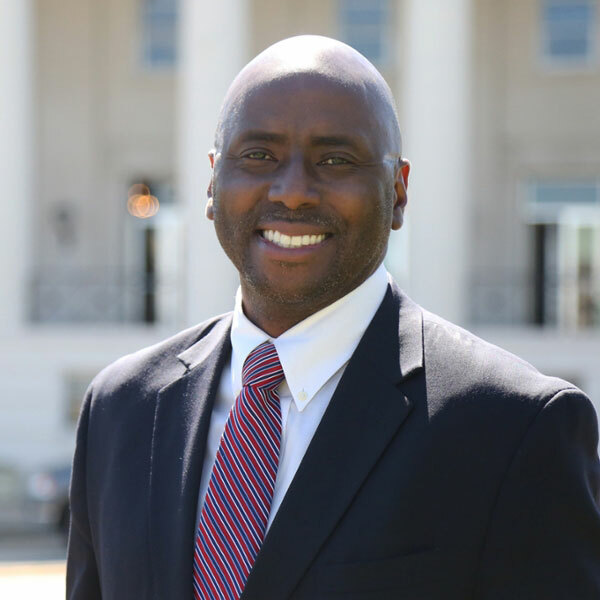 During my undergraduate time at the former Macon State College, I learned alongside fellow students with different backgrounds and professions where I developed a passion for working with people inside and outside of government." "Five years from now I see myself as the county manager as one of the most progressive and successful growing communities in the nation."